This item is selling for $60.99 on eBay. 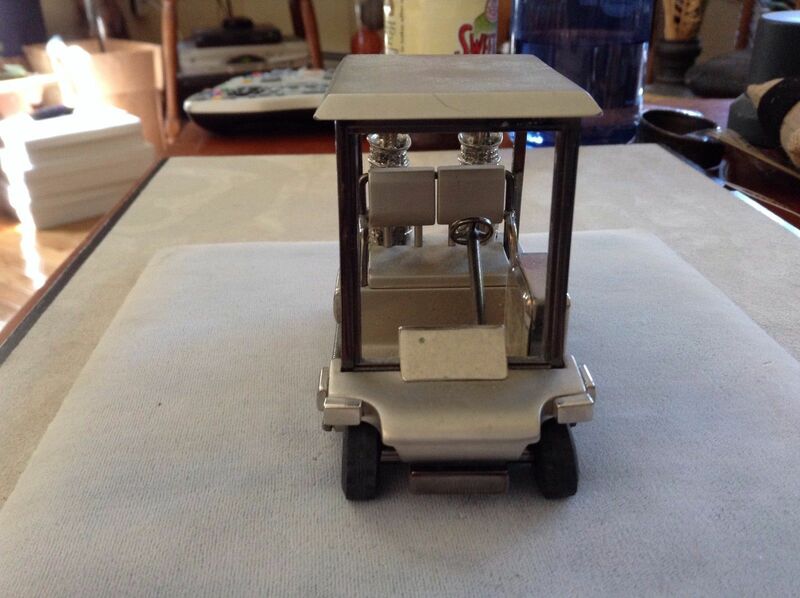 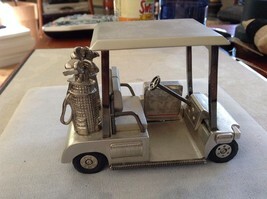 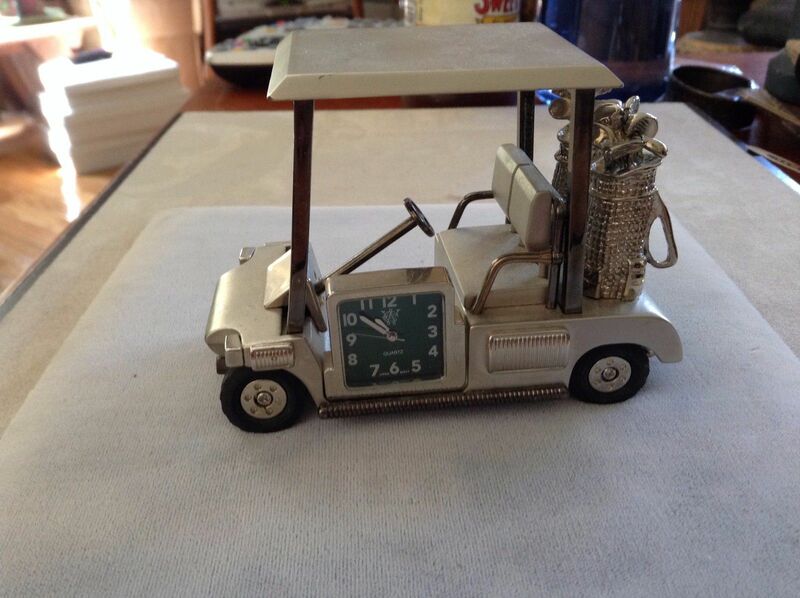 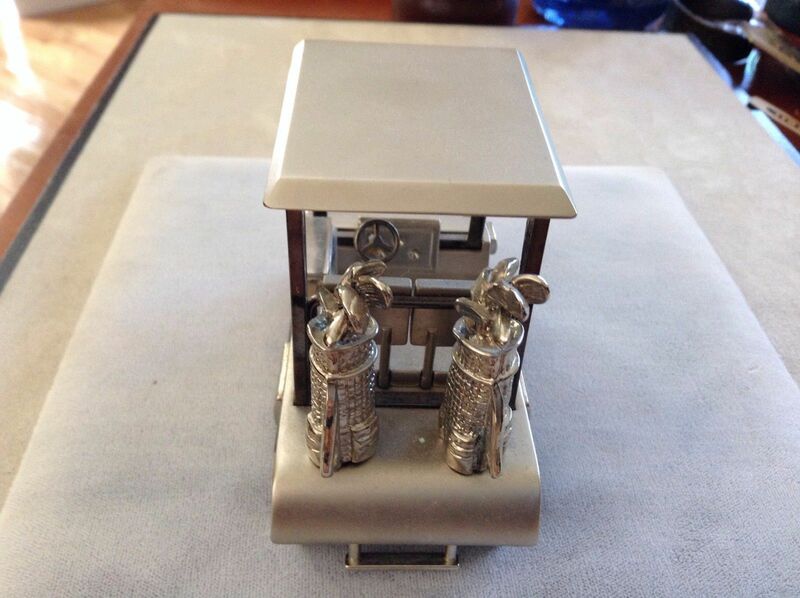 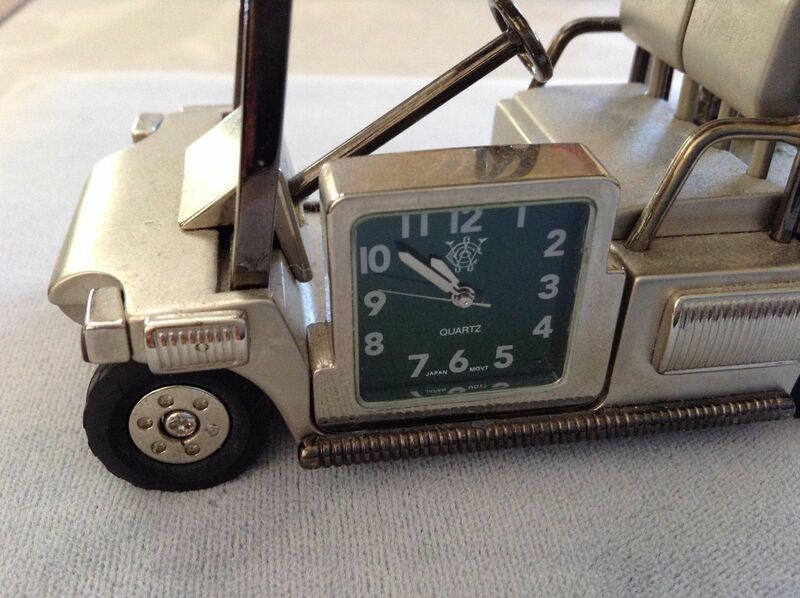 Used great condition silver toned golf cart clock with a green square face and black working wheels. Please check the following measurements to ensure that the sizing is right for you! 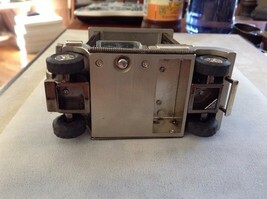 It measures 2" x 4"